Don’t you ever just look at your kids and think, ‘why are you taking this sleep for granted?’. Sometimes after a really hard day, when you haven’t exactly had the most sleep in the world for a week or more now, all you can think about is how you wish you could have as much sleep as your children do, and how annoyed you get at the fact that they don’t want to sleep as much. But, it’s not that they’re not excited about sleep, it’s more to do with the fact that they’re just more excited about what’s going on when they are asleep. They feel as though they’re going to miss out on some of the best times of their life if they go to sleep, but as their eyes clothes and they drift off to the land of nod, they forget about it all! 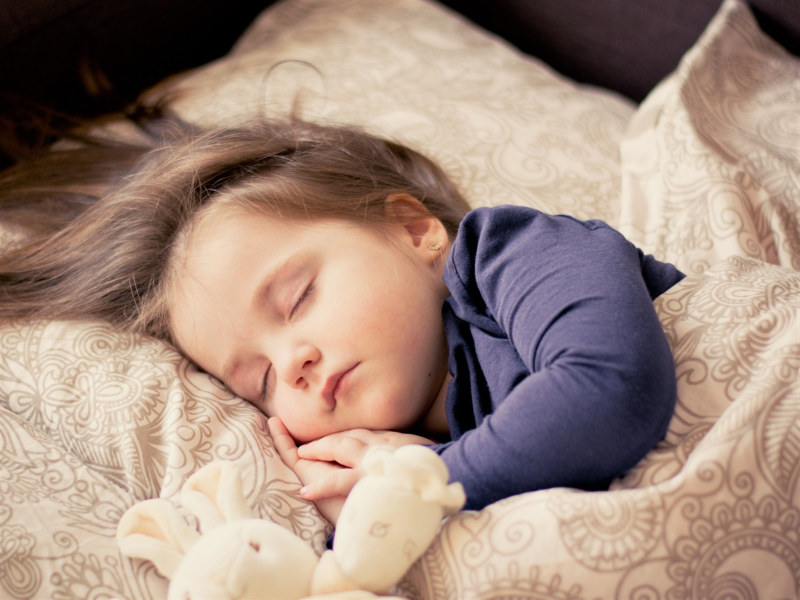 So, we want to show you how you can actually get your kids excited about sleep, so you don’t have all the drama every time it comes close to nap time. This really is the golden ticket as it were. If you stay close to them whilst they’re falling to sleep, they’ll feel so much more comforted. Closeness and warmth are two big keys. So, if you notice them getting a little grouchy, put a film on the TV, cuddle up with them for half an hour, and you will see how quick it is for them to fall to sleep. So many parents seem to lock their kids in their bedroom to try and force a nap on them, when this can only lead to distress. If there is no mention of a nap, and you just keep them comfy and warm, then will no doubt fall to sleep on their own, and very happy too! It takes away all of the tantrums that you might be having, and the same can be applied to their bedtime as well. If you sit in their room with them for a little while, they will fall to sleep much quicker! A funky room is one that is going to get your kids super excited about sleep. Well, it might make them a little too excited, but at least it takes the chore of having to try and get them into the bedroom away. Once they’re in there, you can guide them away from the TV or toys, and into one of the cabin beds from Cuckooland. They’re so cool for kids to sleep in, and it can really feel like they’ve got a little den of their own up off the ground. If you also put cool wallpaper that lights up in the dark in the room, you’re onto a winner. They’ll instantly want the lights off, and a dark room is going to make them fall to sleep so much quicker! Get Them Excited About Waking Up! The final tactic that we have is actually getting them excited about waking up. Tell them what they’re going to be doing if they go to sleep, and we guarantee they’ll be more than inclined to take themselves off up to bed!